To my regular readers: please forgive me this additional indiscretion - I've become involved in a matter in my community for which I feel very passionate about - my municipal Council's decision to betray the public by authorizing a new arena/events centre in an industrial area on the urban fringe of the City, in contradiction to decades of planning decisions informed by public consultation that all point to a downtown location for a new facility. I will soon be taking the next step with regards to this matter - filing an appeal with the Local Planning Approvals Tribunal. I am tonight posting here a draft of my Letter of Appeal to the LPAT. It may be that others in my community can benefit from reading this. Given that the LPAT has a mandate of applying a screening test to appeals to determine whether there are land use planning matters on which it can adjudicate in absence of an opportunity for presentation or feedback, and given that those matters on which the LPAT can adjudicate are limited to questions of provincial and municipal policy and plan conformity, I have decided to err on the side of caution with my letter by providing the LPAT with what essentially would be my complete case if I were allowed to present one to the tribunal. There is significant uncertainty out there with regards to what, exactly, LPAT adjudicators will be looking for throughout the review process. My advice has been to make a strong case at every step in the land use approvals process, based on the matters which can be adjudicated by the LPAT. That's been difficult for me, as I've been immersed in this matter for almost a year - and there is so much more going on with this matter that is beyond the purview of the LPAT review, it has sometimes been difficult to stay focused. The following is pursuant to a decision made by the City of Greater Sudbury on April 10, 2018 in respect to an application made by 1916596 Ontario Ltd. (hereinafter referred to as the “applicant” or the “land owner”) to amend the City of Greater Sudbury's Comprehensive Zoning By-law 2010-100Z for lands described as being Part of Lot 9, Concession 4, Part of Parts 10 & 11, and Parts 12 and 13 of Plan 53R-19391 in the geographic township of Neelon, by adding a new site-specific use, “recreation and community centre” in order to permit the establishment of an arena/events centre (City of Greater Sudbury File No. 751-6/17-27). Please be advised that the following submission forms my notice of appeal of the City’s decision to adopt By-law 2018-63Z, further to the City’s Notice of Decision dated April 16, 2018. Does not conform to the Official Plan for the City of Greater Sudbury. Presently, the lands subject to the proposed zoning by-law are designated "General Industrial" in the City of Greater Sudbury's Official Plan. The General Industrial designation permits a range of industrial land uses and complimentary and ancillary uses as of right, and allows for heavy industrial activities subject to an amendment to the zoning by-law. The lands subject to the proposed zoning by-law amendment are presently zoned "M1-1" in the City of Greater Sudbury's comprehensive zoning by-law #2010-100Z, as amended by a site-specific by-law in 2014. Presently, the zoning permissions on the subject lands include a range of industrial uses, and some commercial uses including office uses, bulk retail, warehouse uses and a commercial recreation centre and hotel. The lands subject to the proposed zoning by-law amendment and other lands in the area under the control of the land owner were previously subject to a draft approved plan of subdivision, which received draft approval subject to conditions by the City of Greater Sudbury in 2010. The application for a plan of subdivision sought to create 33 blocks (12 blocks for light industrial service commercial use; 10 lots for industrial use; and 11 for heavy industrial uses. Two blocks were also provided for stormwater management purposes) in accordance with the City’s Official Plan. Through an application made to the City of Greater Sudbury on December 1, 2017, and deemed to be complete by the City of Greater Sudbury at some time thereafter, the applicant sought to add a “recreation and community centre” land use permission to the existing zoning for the subject lands, in order to facilitate the construction of an Arena. On April 10, 2018, the City of Greater Sudbury adopted by-law 2018-63Z, which changed the zoning of the subject lands to M1-1(17). As stated in the City’s Planning Report to Planning Committee, presented on March 28, 2018, as per Council Resolution CC2017-62, the City of Greater Sudbury on March 7, 2017, endorsed the recommendations of PricewaterhouseCoopers for the design and construction of 5,800 seat new event centre, to replace the existing Sudbury Community Arena, located in the City’s downtown. The Planning Report goes on to indicate that through resolution CC2017-183, the City selected the subject lands as the preferred location for the construction of a new arena/events centre. Although this significant outcome of the City’s approval of By-law 2018-63Z (replacement of the existing downtown arena with a new facility in a suburban location) was clearly the intention of Council as expressed through earlier resolutions, and was specifically referenced in the Planning Report, the City did not appropriately assess the decision’s anticipated impacts on the economic, social and cultural health and vibrancy of the City, and specifically on the City’s downtown core prior to making its decision on April 10, 2018. Although there are other concerns related to the matters that the City did consider, much of the concerns with regards to matters of provincial interest and growth plan and official plan conformity arise as a result of the lack of consideration of anticipated impacts related to the replacement of an existing public service facility. The City was in error to move forward with its decision on April 10, 2018 in absence of an appropriate assessment. Some of the anticipated impacts on the larger City, and more specifically on the City’s downtown, were revealed through the public consultation process initiated by the City in advance of Council’s April 10, 2018 decision. A report prepared by Rowan Faludi, MCIP, RPP, CMC, PLE (the “urbanMetrics report”) identified a significant range of fiscal, social and cultural matters related to the replacement of the downtown Sudbury Community Arena, including: the likely loss of businesses in the downtown; increased difficulty attracting new investment to the downtown; and the redirection of business investment away from an area identified by the City of Greater Sudbury as a key location for revitalization and redevelopment. The urbanMetrics report urged that the City study these anticipated impacts on the City’s downtown prior to approving the application to amend the by-law. The decision of Council to authorize the by-law did not adequately consider these potential impacts raised in the urbanMetrics report. The City failed to study at all any impacts that could arise from its decision, prior to making that decision. The City’s Planning Report failed to even consider the urbanMetrics report in its assessment of the anticipated impacts of replacing the downtown Sudbury Community Arena with a new suburban facility. Of the anticipated impacts, the Planning Report noted only that, “The site of the xisting facility is proposed to be reused for new and expanded public service facilities in the form of a public library, expanded art gallery, and new convention centre, maintaining and enhancing the vitality and viability of downtown Sudbury, consistent with the PPS (1.7.1 c.).” While this statement in the Staff Report shows that Planning Staff were aware that a decision of Council to approve the by-law would have an impact on the downtown, the analysis of municipal planners failed to consider a full range of anticipated impacts – many of which were outlined in the urbanMetrics Report. The decision of the City to authorize the by-law does not have regard to these matters of provincial interest. 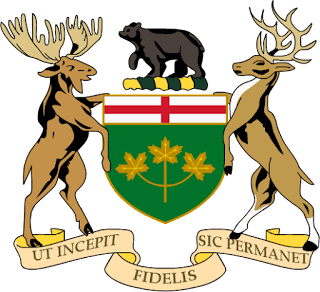 (a) shall be consistent with the policy statements issued under subsection (1) that are in effect on the date of the decision;"
The Provincial Policy Statement (2014) was issued under section 3 of the Planning Act, and was approved by the Lieutenant Governor in Council, Order in Council No. 107/104. It came into effect on April 30, 2014, and remains in effect. The Provincial Policy Statement (2014) (the "PPS") provides policy direction on matters of provincial interest and land use planning. "The Provincial Policy Statement is more than a set of individual policies. It is to be read in its entirety and the relevant policies are to be applied to each situation. When more than one policy is relevant, a decision-maker should consider all of the relevant policies to understand how they work together. The language of each policy, including the Implementation and Interpretation policies, will assist decision-makers in understanding how the policies are to be implemented." "There is no implied priority in the order in which the policies appear." "The long-term prosperity and social well-being of Ontario depends upon planning for strong, sustainable and resilient communities for people of all ages, a clean and healthy environment, and a strong and competitive economy." "Efficient development patterns optimize the use of land, resources and public investment in infrastructure and public service facilities. These land use patterns promote a mix of housing, including affordable housing, employment, recreation, parks and open spaces, and transportation choices that increase the use of active transportation and transit before other modes of travel. They also support the financial well-being of the Province and municipalities over the long term, and minimize the undesirable effects of development, including impacts on air, water and other resources. Strong, liveable and healthy communities promote and enhance human health and social well-being, are economically and environmentally sound, and are resilient to climate change." Section 6 of the PPS defines "public service facilities" as "land, buildings and structure for the provision of programs and services provided or subsidized by a government or other body, such as social assistance, recreation, police and fire protection, health and educational programs, and cultural services. Public service facilities do not include infrastructure." In making its decision to authorize the subject lands for a public arena, the City of Greater Sudbury failed to adequately take into consideration provincial policy related to the provision of public service facilities. Ontario is a vast province with urban, rural, and northern communities with diversity in population, economic activities, pace of growth, service levels and physical and natural conditions. Ontario's long-term prosperity, environmental health and social well-being depend on wisely managing change and promoting efficient land use and development patterns. Efficient land use and development patterns support sustainability by promoting strong, liveable, healthy and resilient communities, protecting the environment and public health and safety, and facilitating economic growth. h) promoting development and land use patterns that conserve biodiversity and consider the impacts of a changing climate. The City’s decision to authorize by-law 2018-63Z is not consistent with this section of the PPS. Specifically, the City’s decision to replace the existing Sudbury Community Arena in the City’s downtown with a new arena in a suburban location failed to promote efficient development or land use patterns which sustain the financial well-being of the province and the municipality over the long term. Specifically, the decision failed to consider the economic impact analysis provided to the City by urbanMetrics, which identified a number of anticipated negative outcomes for the downtown, and for the City as a whole. Further, the decision to approve a new public service facility in the form of an arena in an area of the City set aside for general industrial and ancillary uses is not in keeping with policies of the City’s official plan which seek to preserve employment areas for employment uses, and is not consistent with PPS policies that direct that lands be removed from employment areas only at a time of comprehensive review. By locating a replacement public service facility in a location that is poorly serviced by public transit, pedestrian and cycling infrastructure (particularly in comparison to the City’s downtown), the City has failed to demonstrate consistency with PPS requirements that call for a demonstration that infrastructure be available to meet current and projected needs for public service facilities. While the City’s Planning Report indicates that the City will undertake a number of measures to ensure that additional pedestrian and cycling infrastructure is made available to accommodate anticipated needs for arena users, there is presently nothing in the City’s official plan which would compel these undertakings. And finally, by making a decision to replace the existing downtown arena with a new arena in a suburban location – one which will need to be primarily accessed by personal motor vehicles, due to the lack of pedestrian, cycling and transit infrastructure that will be available, the City has neglected to ensure that development patters consider the impacts of a changing climate. One of the well-known impacts of a changing climate include initiatives from all levels of government – including the City of Greater Sudbury – to reduce greenhouse gas emissions, particularly in the form of carbon pollution, and particularly from personal motorized vehicles powered by internal combustion engines. The City failed to consider the impacts of a changing climate prior to making its decision to authorize by-law 2018-63Z. 1.1.2 Sufficient land shall be made available to accommodate an appropriate range and mix of land uses to meet projected needs for a time horizon of up to 20 years. However, where an alternate time period has been established for specific areas of the Province as a result of a provincial planning exercise or a provincial plan, that time frame may be used for municipalities within the area. Within settlement areas, sufficient land shall be made available through intensification and redevelopment and, if necessary, designated growth areas. Nothing in policy 1.1.2 limits the planning for infrastructure and public service facilities beyond a 20-year time horizon. The City failed to appropriately consider how its decision to replace an existing public service facility in the form of the downtown Sudbury Community Arena, with a new arena in a suburban location, would impact the City’s ability to accommodate a range and mix of land uses, including residential land uses. The City of Greater Sudbury’s Official Plan, in Section 4.2.1, identifies a vision, policies and programs for the revitalization and redevelopment of the City’s downtown. Specifically, section 4.2.1.1, Downtown Residential Development, outlines how existing public amenities, including the Sudbury arena, contribute to the downtown’s appeal, and make it an attractive place for residential development. By failing to consider the anticipated impacts on residential development in the downtown, the City’s decision to replace the existing Sudbury Community Arena with a new arena in a suburban location is not consistent with Section 1.1.2 of the PPS. 1.1.3.3 Planning authorities shall identify appropriate locations and promote opportunities for intensification and redevelopment where this can be accommodated taking into account existing building stock or areas, including brownfield sites, and the availability of suitable existing or planned infrastructure and public service facilities required to accommodate projected needs. The City’s official plan identifies a number of areas that are appropriate locations for redevelopment where redevelopment can be accommodated by the availability of existing or planned infrastructure, including sewer and water infrastructure, parking, transit and pedestrian and cycling infrastructure. The decision of Council to replace the Sudbury Community Arena with a new arena in a suburban location that will require the expansion of sewer and water infrastructure, parking facilities, transit and pedestrian and cycling infrastructure fails to adequately take this section of the PPS into consideration. 1.1.3.4 Appropriate development standards should be promoted which facilitate intensification, redevelopment and compact form, while avoiding or mitigating risks to public health and safety. The decision of Council does not facilitate intensification. As per the urbanMetrics report, replacing the existing Sudbury Community Arena with a new suburban facility is likely to have a negative effect on the City’s ability to pursue intensification, particularly in the downtown – a location deemed to be a priority for intensification and redevelopment as per the City’s official plan. 1.1.3.6 New development taking place in designated growth areas should occur adjacent to the existing built-up area and shall have a compact form, mix of uses and densities that allow for the efficient use of land, infrastructure and public service facilities. While the site proposed for the new arena is within a designated growth area, and was considered by the City to be adjacent to an existing built-up area, it is not clear that the subject lands are in fact adjacent to a built-up area. The subject lands are bounded in the south by the Kingsway – a 4-lane road in this location with a speed limit of 80 km/h. Existing development of an urban nature is located to the south of the Kingsway. The Kingsway should effectively be treated as an edge for urban development, as access to and from the north and south sides of the street is impeded by the flow of vehicular traffic, except only at certain locations. Further, the proposed suburban location for this development, and the additional surface parking that the development requires in this location, is not using land efficiently. As the decision of the City is to replace the existing downtown Sudbury Community Arena – which is a “public service facility”, the City has failed to demonstrate how its decision to replace the existing arena uses land efficiently. a) that specified targets for intensification and redevelopment are achieved prior to, or concurrent with, new development within designated growth areas; and b) the orderly progression of development within designated growth areas and the timely provision of the infrastructure and public service facilities required to meet current and projected needs. The decision of the City to approve by-law 2018-63Z has the direct outcome of the City needing to extend public infrastructure to accommodate the development. The subject lands are located in an industrial area. The City of Greater Sudbury, in 2011, developed an Industrial Lands Infrastructure Strategy. The outcome of that strategy identified several priority industrial areas for the extension of municipal sewer and water infrastructure. The top two prioritized areas were the Lasalle/Elisabella and the Fielding Road industrial areas. The Kingsway location was not identified as a priority. The decision of the City to approve by-law 2018-63Z will require the extension of municipal servicing to the Kingsway industrial area – an area not identified by the City as a priority industrial area for municipal servicing. As a result, the provision of sewer and water infrastructure to this area of the City is not timely. At present, the City of Greater Sudbury has a plan to co-ordinate and manage growth, development and the timely provision of municipal infrastructure and public service facilities. That plan is the City of Greater Sudbury’s Official Plan. Despite the numerous policies contained in the official plan that would have assisted the City in making an appropriate determination with regards to the application to replace the downtown Sudbury Community Arena with a suburban arena, the City failed to consider the policies of its own official plan to a significant degree. Specifically, the City’s decision to replace the existing arena is not in keeping with the Official Plan’s policies to manage and promote growth and development in that the provision of a marquee public service facility in an industrial area is not in keeping with the direction of the plan for these sorts of facilities, and is not in keeping with the direction of the plan to preserve industrial areas for industrial and ancillary uses. The decision of the City does not consider “gs2020: From the Ground Up,” the City’s economic development strategy, which specifically calls for a new arena/events centre to be located in the City’s downtown. ‘From the Ground Up’ was developed by the City’s Economic Development Corporation after a significant public consultation exercise. The decision of the City does not consider the direction of the Downtown Master Plan, a plan received by Council after a significant public consultation exercise was undertaken. The Downtown Master Plan contemplates a new arena/event centre facility in the City’s downtown as part of a strategy to renew and rejuvenate the downtown, building on the downtown’s successes as a hub for cultural and entertainment activities, and business and government services. The decision of the City does not consider the direction provided for the long-term transportation needs of the City as outlined in the City’s Transportation Master Plan. That Plan does not contemplate the construction of a marquee public service on the subject lands, nor does it anticipate the significant volume of traffic that such a facility will generate. Further, it does not contemplate the extension of new cycling and transit infrastructure to this location to service such a facility. The decision of the City does not consider the direction provided for in the recently-released Transit Action Plan. While the Transit Action Plan contemplates the addition of transit services to many parts of the City, it is silent with regards to providing a higher level of transit service to this industrial park. The decision of the City does not manage water resources in a co-ordinated manner, as the application of road salt on surface parking areas within the watershed of Ramsey Lake has not been sufficiently considered or assessed, and where it has been considered or assessed, the City’s methods of addressing the issue have not made their way into policy, meaning that the public has no means of holding the City accountable to the undertakings that it has discussed and committed to, should the zoning by-law amendment ultimately be approved. The City’s decision does not take into consideration a co-ordinated approach to land use planning as required by the PPS. Economic development, industrial lands management, downtown revitalization, long-term transportation planning, transit planning, planning for sewer and water – the City of Greater Sudbury has invested significant attention to these matters over the past several decade, and has articulated a comprehensive approach to city-building through these and other planning documents. This recent decision of the City to locate a marquee public service facility in an industrial area is not in keeping with the City’s long-articulated approach to city building. Further, there has been no co-ordination with regards to the replacement of an existing marquee public service facility in the form of the downtown Sudbury Community Arena, as the impacts of this replacement on the downtown have not been appropriately assed or considered by the City. 1.2.3 Planning authorities should coordinate emergency management and other economic, environmental and social planning considerations to support efficient and resilient communities. At present, the existing downtown Sudbury Community Arena is used as an evacuation site for some of the City’s downtown governmental operations, including those located at Tom Davies Square. It is not clear that the impacts of removing the arena from the downtown have been appropriately assessed by the City’s emergency managers. d) ensuring the necessary infrastructure is provided to support current and projected needs. The City’s decision to locate a public service facility that, according to the urbanMetrics Report, would be expected to attract upwards of 200,000 visits annually, within an industrial area has not been adequately assessed by the City. Specifically, there has been little assessment of how the presence of this facility, and the hard and soft infrastructure needed to sustain it in this location (including sidewalks, cycling infrastructure, parking and the traffic generated by the facility) have been considered by the City with regards to the anticipated and expected industrial uses that the City’s official plan directs to locate in this area. The traffic study submitted by the development proponent in support of a casino facility on adjacent lands took into consideration only the anticipated impacts from new uses on existing traffic. It failed to adequately assess anticipated impacts from the full build-out of the remainder of the industrial subdivision. This lack of consideration on future industrial uses may be due to the fact that the City is no longer treating this area as an industrial area, due to the simultaneous approval of a casino and additional surface parking on the subject lands, in what the City has come to call “Phase 1 of the Kingsway Entertainment District”. Since June of 2017, the City has been planning to use these industrially-designated lands for additional public and private entertainment uses. However, these uses, except for a hotel, casino, restaurant an surface parking lot, have not been subject to any public process, and City has not amended its Official Plan to remove any of these industrial lands from the industrial land use designation. In absence of those necessary undertakings, the City has been remiss not to consider the potential impacts of locating this marquee public service facility in an industrial park. 1.3.2.1 Planning authorities shall plan for, protect and preserve employment areas for current and future uses and ensure that the necessary infrastructure is provided to support current and projected needs. The subject lands are within a designation employment area. The decision of the City to authorize the creation of a new public service facility in the form of an arena in this location jeopardizes the viability of the subject lands, presently vacant, to be used for the industrial uses that are permissible as of right via the City’s zoning by-law. Further, a municipal arena is not primarily an employment use – it is a public service facility, which is defined in the PPS as, land, buildings and structure for the provision of programs and services provided or subsidized by a government or other body, such as social assistance, recreation, police and fire protection, health and educational programs, and cultural services. Public service facilities do not include infrastructure.” While the delivery of public services creates and sustains jobs, the primary activity is the delivery of public service programs – and not the creation of jobs. With this in mind, the decision of the City to authorize the by-law has the outcome of introducing a non-employment activity into an area reserved by the City for employment use. The decision does not protect and preserve this employment area. 1.3.2.2 Planning authorities may permit conversion of lands within employment areas to non-employment uses through a comprehensive review, only where it has been demonstrated that the land is not required for employment purposes over the long term and there is a need for the conversion. The City’s decision to authorize the by-law is not consistent with this section of the PPS, as it will introduce a non-employment use into an employment area without the benefit of a comprehensive review. The City has failed to identify that the subject lands are not needed for employment uses. The City has failed to demonstrate that there is a need for this conversion at all. The City’s decision to locate a marquee public service facility within an industrial area is not consistent with this section of the PPS. The City has failed to consider providing a safe location for this sort of public facility – a community arena. The location selected by the City for a replacement community arena through the approval of by-law 2018-63Z does not adequately consider active transportation and community connectivity, and will foster limited social interaction as compared to the facility which is intended to be replaced. The City’s downtown accomplishes all of the policy outcomes identified in Section 1.5.1 of the PPS, while the industrial location of the proposed replacement arena in a suburban location will not. The City’s downtown is already a hub for the community, with considerable linkages to other parts of the City via roads, transit, trails and other pedestrian and cycling infrastructure. While the City is contemplating the creation of new infrastructure to extend to the industrial park, there is nothing currently in the City’s official plan which can require the City to create this infrastructure. As a result, the selection of an industrial location in a suburban area without policies to direct the City to establish an appropriate level of active transportation and community connectivity means that the decision of the City creates a circumstance which can only be considered less equitable than the one that exists at present with the community arena located in the downtown. b) available to meet current and projected needs. The PPS is clear: a planning authority shall provide public service facilities in a manner that is coordinated, efficient and cost-effective and that considers impacts from climate change. Public service facilities shall also accommodate the projected needs of the community. By neglecting to consider the community’s long term needs as identified in the City’s official plan, and specifically for the health, well-being and vitality of the City’s downtown, the decision to replace the existing downtown Sudbury community arena with a suburban arena without an assessment of those needs or the identification of means to mitigate anticipated impacts, the City has failed to demonstrate that its decision is consistent with this section of the PPS. The language here in the PPS is quite clear: projected community needs shall be considered. In absence of an assessment on the economic, social and cultural health of the downtown, the City’s decision is lacking. 1.6.2 Planning authorities should promote green infrastructure to complement infrastructure. Although the City has indicated that it will provide additional active transportation infrastructure to the site, there is nothing in the City’s official plan which would compel that the City undertake these infrastructure improvements. Without clear policy in the plan, the public has no guarantee that matters discussed at the Council table or by staff will ever be implemented. The City, if it were serious about the provision of active transportation infrastructure to this industrial site, should have developed specific policies in its plans that would require these undertakings. Further, a significant amount of ‘green infrastructure’ already exists in the City’s downtown. As such, the City’s decision to replace the existing downtown Sudbury Community Arena with a new arena in a suburban location does not contemplate or promote green infrastructure, as required by the PPS. b) opportunities for adaptive re-use should be considered, wherever feasible. The City of Greater Sudbury is about to embark upon one of the most costly public infrastructure programs that it has ever undertaken. Cost estimates of between $80 and $100 million have been identified for the creation of a new public service facility in the form of an arena/events centre, intended to replace the existing Sudbury Community Arena. Greater Sudbury municipal Council has directed a number of studies be undertaken over the years to determine the suitability of the existing Sudbury Community Arena for the long-term needs of citizens, and to assess whether a new facility would be preferred. In March, 2017, Council decided to pursue a new facility to replace the existing downtown arena. In June, 2017, Council selected lands within this industrial area on the Kingsway as the site for the new arena. However, the processes used by Council to make these decisions were not processes that were available to the public. Public participation in decision-making was not contemplated by the City, and it did not occur. Greater Sudbury Council did not receive the benefit of hearing from the public through any formal process. The public was only invited to comment on a site-specific zoning by-law amendment after the decision had been made by Council in June 2017. With this in mind, it is clear that the City never seriously considered the use of existing infrastructure for the optimization of public service delivery. Adaptive re-use of the existing Sudbury Community Arena was not explored by the City through the zoning amendment process, despite the City hearing from numerous members of the public that the City should undertake such an analysis prior to making a decision on the proposed zoning amendment. In making its decision to authorize the zoning amendment, the City failed to take into consideration whether the existing Sudbury Community Arena could be optimized. Further, the City failed to consider a downtown location – or any other location – for a new arena. The analysis provided to Greater Sudbury Council by municipal planning staff focused almost entirely on issues related to the subject lands, and not whether the project was a necessary undertaking in the first place, or whether the use of existing sewer, water, road, pedestrian, cycling and transit infrastructure would be preferred over the need to expand infrastructure to service this site. This focused analysis by municipal staff was in error, and led to no consideration of Provincial Policy which requires an assessment of alternatives specifically where new public service facilities are contemplated. 1.6.4 Infrastructure and public service facilities should be strategically located to support the effective and efficient delivery of emergency management services. Centralized locations within communities are generally those that receive the highest level of emergency management services. Prior to making a decision to authorize the zoning by-law, the City did not assess the impacts of relocating an existing marquee public service facility out of the downtown – a location very well served by emergency management services. The lack of analysis pertaining to emergency management services was an oversight on the part of the City’s – particularly in light of the expected reduction in services available at a suburban location in an industrial area. 1.6.5 Public service facilities should be co-located in community hubs, where appropriate, to promote cost-effectiveness and facilitate service integration, access to transit and active transportation. The industrial park in which the public service facility is intended to locate is not within what could be credibly described as a ‘community hub’. The industrial subdivision currently consists of vacant lands. Existing approved zoning permits general industrial uses, and small scale commercial uses. Elements that would normally form part of a ‘community hub’ are largely not contemplated by the City within this industrial area. The City failed to assess this PPS policy when it made its decision to authorize the by-law. Further, it should be pointed out that the existing downtown Sudbury Community Arena is co-located in an area with other public service facilities, including a large regional park (Memorial Park), police and firefighting services, and Tom Davies Square, our municipal City Hall. The entirety of the downtown can be considered exactly the sort of ‘community hub’ that the PPS contemplates for locating public service facilities. The City’s official plan also contemplates co-locating public service facilities in the downtown. As does the Downtown Master Plan and the City’s Economic Development Plan. The City failed to assess how relocating an existing public service facility out of an existing community hub would fail to achieve the outcome that this section of the PPS aspires municipal decision-makers to attain. The decision of the City to authorize the by-law will directly lead to the inefficient expansion of sewer and water infrastructure to a location that the City has not previously prioritized for this level of service. Indeed, the industrial plan of subdivision that was draft approved by the City in 2010 has never been registered, and appears to have lapsed. The City failed to adequately consider the efficient expansion of sewer and water services when it made its decision to authorize the by-law. Further, the City failed to assess how existing sewer and water services could be optimized through the selection of an alternative location for a new facility, or the adaptive re-use of an existing facility. That level of analysis never occurred, likely because the City had already selected this site to house an arena prior to giving any consideration to provincial policy or its own Official Plan. The analysis undertaken by municipal staff largely only considered site-specific issues and did not fully assess whether or how existing infrastructure could be used as an alternative to expanding infrastructure. e) promote stormwater management best practices, including stormwater attenuation and re-use, and low impact development. A significant new surface parking facility and paved public square are contemplated by the by-law. The subject lands are located within the Ramsey Lake watershed. Ramsey Lake is a significant source of the City’s drinking water. While there is a Source Protection Plan currently in place, the City’s official plan calls for the development of subwatershed studies to assess potential impacts on receiving waterbodies. Ramsey Lake was prioritized by the City back in 2006 with regards to the need for a subwatershed study. While that study is presently underway, it has not been completed. The City heard significant concerns about the potential for groundwater contamination by road salt. Although the City offered assurances to the public that the matter of road salt would be addressed through other processes, such as the Site Plan approval process, it should be noted that the Planning Act does not appear to permit Site Plan agreements to direct what material is applied to surface parking facilities, or to what extent. In short, the public has no way of holding the City to account on statements made by municipal staff and members of Council with regards to this issue. The City had options it could have explored, prior to making a decision to authorize this by-law. Instead of planning for large, new surface parking facilities, the City could have selected an alternative location where parking is already present. It could have selected an alternative location for this public service facility outside of the sensitive Ramsey Lake watershed. It could have opted to wait until the completion of the Ramsey Lake subwatershed study to assist and provide guidance. Instead, the City did none of these things. It should here be noted that the existing Sudbury Community Arena is well-serviced by existing parking facilities, and is not located within the Ramsey Lake watershed (none of the downtown is). Had the City been serious about planning for stormwater management in relation to this public service facility, it would have assessed alternatives to that being proposed by the developer prior to making a decision. However, this lack of assessment likely occurred because the City had selected the subject lands for an arena in June 2017, in absence of an assessment of provincial policy, official plan policies, and without the benefit of public consultation. 1.6.7.1 Transportation systems should be provided which are safe, energy efficient, facilitate the movement of people and goods, and are appropriate to address projected needs. The City has not demonstrated consistency with this section of the PPS. Greater Sudbury’s Transportation Master Plan does not contemplate the sorts of upgrades to existing vehicular infrastructure contemplated by the developer’s transportation study. Further, potential impacts from additional industrial uses once the industrial subdivision has been built-out have also not been considered. Authorizing a by-law to allow a marquee public service facility in this location is not in keeping with the City’s long-term transportation needs. Further, the City will need to create significant new public service infrastructure for pedestrians, cyclists and transit users to provide even a hint of an interconnected transportation system in this location. And that will be a challenge, given the industrial nature of the surrounding lands. It should be noted that the existing Sudbury Community Arena is well-serviced by transit, pedestrian and cycling infrastructure. 1.6.7.3 As part of a multimodal transportation system, connectivity within and among transportation systems and modes should be maintained and, where possible, improved including connections which cross jurisdictional boundaries. The decision of the City to authorize this by-law will reduce multi-modal transportation connectivity within the City, and is therefore not consistent with this section of the PPS. The City’s decision removes a marquee public service facility from the City’s downtown core, replacing it with a new facility in a suburban location within an industrial park. The City’s downtown is well-serviced by a fully-connected transportation system. The industrial area selected for a new facility has not been fully integrated into the City’s transportation system, particularly with regards to transit, cycling and pedestrian infrastructure. Although City officials have publicly stated that upgrades will come, there is no present policy direction within the City’s official plan to require significant upgrades to transportation infrastructure to service this location. As a result, the outcome of the City’s decision will be to reduce the overall level of connectivity within the City. This is neither maintaining or improving the connectivity of our transportation systems. 1.6.7.4 A land use pattern, density and mix of uses should be promoted that minimize the length and number of vehicle trips and support current and future use of transit and active transportation. The City’s decision to authorize the by-law is not consistent with this section of the PPS. By locating this public service facility within an industrial area, the city is promoting a land use pattern and mix of uses that does not minimize vehicle trips and does not support current and future use of transit and active transportation. Although officials from the City have stated that new active transportation infrastructure will be provided to the site, there is no requirement for doing so found in the City’s official plan. There is no mechanism in place for the public to hold the City accountable to these commitments – commitments which really should be expressed in policy. Further, the decision to replace the existing downtown Sudbury Community Arena with a new suburban facility in an industrial area can be expected to have a negative impact on the use of existing infrastructure, as users of the public service facility will have few transportation alternatives to access the new site. Presently, the City’s downtown includes a land-use pattern and mix of uses that is well-served by active transportation infrastructure, and which promotes the minimization of vehicular trips (especially through pay-for-parking programs). 1.6.7.5 Transportation and land use considerations shall be integrated at all stages of the planning process. The City selected the site for the arena in June 2017 without the benefit of transportation and traffic studies. A transportation study was submitted only in December, 2017, as the result of early consultation between the developer and the City. The City erred in not considering transportation needs prior to selecting this site for an arena. Further, the City’s authorization of the by-law continues to demonstrate inconsistency with the PPS as a result of a lack of analysis of expected industrial uses from the remainder of the industrial subdivision that has yet to be registered or built out. 1.6.11.1 Planning authorities should provide opportunities for the development of energy supply including electricity generation facilities and transmission and distribution systems, to accommodate current and projected needs. 1.6.11.2 Planning authorities should promote renewable energy systems and alternative energy systems, where feasible, in accordance with provincial and federal requirements. The development of a taxpayer-funded public service facility in the form of a new arena on vacant lands presents a significant opportunity for the City to have considered the development of complimentary green electricity generation and green heating and cooling systems. The City’s official plan, in section 12.4.2 indicates that district energy plants provide environmental benefits and reduce greenhouse gas emissions. Despite the clear direction in the PPS, and in the City’s official plan for the consideration of long-term energy needs, the City did not consider these needs, or the opportunities available for green energy prior to authorizing the by-law. While public officials have stated that green energy considerations could be considered going forward, there is no mechanism in place for the public to hold the City accountable to this undertaking. In accordance with the PPS and the City’s official plan, those considerations should have occurred prior to municipal decision-making, and if considered appropriate, they should have been subject to the addition of new policy to the City’s official plan in order for the public to be assured that they would become a reality for the new facility. This lack of consideration of opportunities to facility green energy initiative through a publicly-funded project of this scale demonstrates an overall lack of concern with the climate change policies of the PPS. The City’s Economic Development Plan, ‘From the Ground Up’, identifies a number of economic development opportunities for the City to undertake over the coming years. Many of these opportunities are admittedly aspirational. However, what the Economic Development Plan doesn’t contemplate is the relocation of an existing marquee public service facility that presently acts as a catalyst for downtown economic development and revitalization to an industrial area. Although the City of Greater Sudbury has lately (since June 2017) promoted the idea that the subject lands are to be considered Phase 1 of the Kingsway Entertainment District, which some have suggested is an economic development initiative, there is no municipal plan in place for the creation of an entertainment district in this industrial area. Presently, the lands are not designated for entertainment uses. The City’s Economic Development Corporation has never identified this area as a location for these sorts of uses. The decision of the City to authorize the by-law will lead to an outcome where a marquee public facility that could be used as a catalyst for economic development will end up being located in an industrial area where the sort of synergistic economic development such a facility could be expected to generate is now allowed, and has not been contemplated. Further, it will have the additional outcome of replacing an existing facility that is located in an area that would be expected to catalyze economic development. And further still, the decision is not in keeping with the economic development direction of the City as articulated in its own official plan, the Downtown Master plan, or the Economic Development Plan. By shifting a marquee public service facility that generates approximately 200,000 trips a year (according to the urbanMetrics report) to a suburban location in an industrial area, it can be expected that a larger percentage of those accessing the facility will need to do so via personal vehicle, as there is little active transportation and transit infrastructure available for the site. This will mean that Greater Sudburians will need to rely more on personal vehicles for access to public services than at present. The result is an inefficient use of land for the delivery of public services – especially when compared to the existing circumstance with the Sudbury Community Arena located in the City’s downtown. The decision of the City to authorize the by-law will permit a new public service facility in a suburban location in an industrial area. The decision does not maintain or enhance the downtown. And although the Kingsway is a major thoroughfare that services citizens primarily travelling in personal vehicles, it is not in this location a “mainstreet”, but rather it is a suburban highway. Further, another outcome of the City’s decision to authorize the by-law will see the existing downtown Sudbury Community Arena replaced by a new, suburban facility. As a direct outcome of this decision, the viability of the downtown will be negatively impacted, as per the uncontradicted analysis provided in the urbanMetrics report. As such, the decision does not ‘maintain’ or ‘enhance’ the downtown – rather it does the opposite. The decision of the City to authorize the by-law is not consistent with this part of the PPS. There will be little ‘sense of place’ created with a public service facility within an industrial subdivision, surrounded by surface parking. The City’s official plan includes policies regarding development ‘quality of place’ – I will discuss this element more fulsomely in that part of my letter pertaining to those policies. This has been previously discussed in my letter of appeal. Although a community arena/events centre is a public service facility that will primarily be used by municipal residents, the applicant has tried to make a case that it is primarily a tourism-based use. Section 1.3.2, Economic Development – The proposed development promotes the attraction of a diverse population through the creation of a curious, adventuresome city, by introducing a new tourist-based destination. The City of Greater Sudbury's Official Plan acknowledges the important role that tourism plays in the City’s economy. The Plan identifies Centres as “nodes of retail, tourism, business, education and government services.” (Section 4.2). For the purposes of the City’s Official Plan, “Centres” consist of the Downtown, Regional Centres and Town Centres. The industrial area on the Kingsway where lands subject to this decision are situated are not within a “Centre”. Section 5.2.6 of the Plan identifies that resort and shoreline commercial uses in rural and waterfront areas are permitted as a means of expanding the tourism sector. The lands subject to this decision are not in a rural and waterfront area. The decision of the City to authorize the by-law and permit an arena/events centre on the subject lands, replacing the existing Sudbury Community Arena located in the downtown will not be helpful and is anticipated to be harmful in achieving the above official plan outcome. Putting a new arena/events centre on the Kingsway, where it will be poorly serviced by public transit, and opportunities to walk and bike, will not assist in achieving this outcome and will not help lead to more efficient, modern and active transportation systems in the City. The presence of the Sudbury Community Arena in the City’s downtown is acknowledged as a facility that is part of a strategy to attract and retain residential development in the City’s core. Replacing the existing downtown arena/events centre with a new facility in an industrial area will frustrate the downtown residential development strategy and will not help achieve this goal. Goal Six: A nationally recognized centre of artistic excellence, vibrancy and creativity – There is overwhelming consensus that arts, culture and heritage provide value to communities in the form of quality of life, downtown revitalization, sense of community, attraction and retention of creative professionals, economic development and tourism. By fostering an environment that supports cultural pursuits and creative individuals we will benefit in these areas. In Goal Six, “From the Ground Up – gs2025” clearly contemplates the linkages between a vibrant arts, culture and heritage sector with the revitalization of the downtown and the promotion of tourism. A new arena/events centre on the Kingsway in an industrial area will not help the City achieve this goal; removing the Sudbury Community Arena from the downtown would likely lead to the opposite of downtown revitalization. An a new arena/events centre on the Kingsway in an industrial area does not further any portion of Goal 7. Shuttering the existing Sudbury Community Arena in the City’s downtown core in favour of a new facility in an industrial area on the Kingsway is contrary to this Action identified in “From the Ground Up – gs2025” in Obective 7.1 – Invest in Facilities, Spaces, and Initiatives Needed to Support the Growth of Tourism. 7.2.8 – Work with Transit and other agencies to improve choice and quality of connections between attractions. The development of a new arena/events centre in a car-dependent industrial area on the Kingsway will not assist with achieving this desired outcome. 7.3.1 – Promote the “scenic sights, urban delights” brand for Sudbury Tourism in order to distinguish the city from its competitors in Ontario. Removing the existing Sudbury Community Arena from the downtown’s urban fabric in favour of locating a new arena/events centre in an industrial area surrounded by surface parking facilities will not assist with marketing a brand that focuses in part on the City’s “urban delights”. Locating a new arena/events centre in an industrial area will not assist in achieving this desired outcome. It is important to note that the industrial area where lands subject to this request for zoning amendment is located is not identified as a priority for tourism initiatives in our Economic Development Plan – indeed, this area on the Kingsway is not even mentioned. The decision to permit an arena/events centre on the Kingsway is not in keeping with these Plan policies that seek to leverage existing local strengths and our tourism marketing strategy. The urban focus of the “scenic sights, urban delights” brand plays up on one of our City’s local strengths – a vibrant and dynamic arts and entertainment hub in our downtown core. By shifting a major event hosting facility from the downtown to an industrial area on the Kingsway, we would diminish opportunities for local synergies in the development of tourism infrastructure. The decision of the City to authorize the by-law is not consistent with the PPS direction to promote long term economic prosperity by providing opportunities for sustainable tourism. This has been covered elsewhere in the appeal letter. As indicated earlier in this letter, the City failed to consider the impacts of climate change prior to making a decision to authorize the by-law. Many of the policies of the City’s official plan, although not explicitly written with climate change in mind, nevertheless provide policy direction to decision-makers that will lead to positive outcomes for the City with climate change in mind. The direction to maintain and enhance the viability of the City’s downtown, and promote opportunities for active transportation through density, and by co-locating public service facilities in accessible locations – altogether, the official plan could be said to have been thinking ahead about climate change impacts when it was approved by the City in 2006. However, the decision of the City now in 2018 to authorize this by-law, leading to an outcome where a marquee public service facility will be removed from the downtown and replaced with a new facility in a suburban location does much to hinder the very good policy outcomes that the official plan aspires too. Further, the decision of Council clearly did not consider the impacts of climate change. There was no analysis of whether the decision would increase or decrease greenhouse gas emissions, despite the urbanMetrics report that identified the existing facility as generating approximately 200,000 trips annually. Clearly, a shift from a central, fully-accessible location to one accessible primarily by personal vehicles, located on the fringe of the existing built-up area should be evaluated for greenhouse gas emissions. However, this kind of analysis was not undertaken prior to the City authorizing the by-law, or prior to Council making the decision in June 2017 to locate a new arena in this location. · Assist with focusing major employment activities in appropriate sites, as it will likely frustrate potential industrial users within the industrial subdivision; at the very least, this matter has not been studied by the City. · Maximize energy efficiency or opportunities for the use of renewable energy. h) ensuring stormwater management practices minimize stormwater volumes and contaminant loads, and maintain or increase the extent of vegetative and pervious surfaces. 2.2.2 Development and site alteration shall be restricted in or near sensitive surface water features and sensitive ground water features such that these features and their related hydrologic functions will be protected, improved or restored. Mitigative measures and/or alternative development approaches may be required in order to protect, improve or restore sensitive surface water features, sensitive ground water features, and their hydrologic functions. The City’s decision to authorize the by-law is not consistent with this section of the PPS. Prior to making a decision, the City did not fully consider the anticipated impacts from the proposed development on the watershed of Ramsey Lake – a sensitive surface water feature that is also a major source of drinking water and recreational activities within the City. As indicated earlier, the subwatershed plan for Ramsey Lake has not been finalized by the City. This plan could have potentially provided additional direction for decision-makers when evaluating proposals for significant development within the watershed. That the City hastily moved forward to make a decision on this, and other related land use applications which include large surface parking facilities prior to the finalization of the subwatershed study is problematic, and demonstrates a lack of concern for a full range of watershed issues. Certainly, the Ramsey Lake watershed and the health of the lake were given little consideration – and what consideration they were given seemed to be ameliorated only through promises by officials to undertake additional work, but without the policy needed by the public to hold the City accountable to these undertakings. The City had options for the mitigative measures it identified as necessary to protect the health of the lake. These options included identifying necessary mitigative undertakings in policy via an amendment to the City’s official plan. Instead, the City authorized a by-law without any specific provisions that address the very real issue of road salt that was raised during the public review process. The City has significant failed to demonstrate consistency with this section of the PPS, and by failing to do so, the City has put a major source of drinking water even further at risk. 4.7 The official plan is the most important vehicle for implementation of this Provincial Policy Statement. Comprehensive, integrated and long-term planning is best achieved through official plans. Official plans shall identify provincial interests and set out appropriate land use designations and policies. To determine the significance of some natural heritage features and other resources, evaluation may be required. Official plans should also coordinate cross-boundary matters to complement the actions of other planning authorities and promote mutually beneficial solutions. Official plans shall provide clear, reasonable and attainable policies to protect provincial interests and direct development to suitable areas. In order to protect provincial interests, planning authorities shall keep their official plans up-to-date with this Provincial Policy Statement. The policies of this Provincial Policy Statement continue to apply after adoption and approval of an official plan. The City of Greater Sudbury’s official plan is includes policies that address many matters of provincial interest as outlined in Section 2 of the Planning Act, and in the Provincial Policy Statement. However, the plan cannot be considered to be consistent with the PPS, 2014, as it has not been updated since its adoption in 2006. As it is not consistent with the PPS, the official plan must be read in conjunction with the PPS by decision-makers when making decisions on land use applications. As per the above submission, the City did not take into consideration many areas of the Provincial Policy Statement that should have been considered prior to a decision being made. Significantly, many of these areas have to do with enhanced direction provided in the PPS 2014 beyond what was previously the province’s policies as articulated in the PPS, 2005 – the predecessor document that was in effect at the time of the City’s approval of its official plan in 2006. The 2014 version of the PPS notably expands on the PPS 2005’s expression of provincial interests with regards to the orderly development of communities and planning for long-term economic prosperity. A greater emphasis is placed on co-locating development, especially public service facilities, in areas of municipalities that are served by complete transportation systems that include transit and active transportation. This enhanced development direction that municipal decision-makers must be consistent with is complimented elsewhere in the PPS, 2014 through new requirements that climate change considerations and greenhouse gas emissions be considered before decisions are made. A greater emphasis on green energy and the use of opportunities for shared, district heating and cooling systems is also found in the PPS, 2014. While the City’s official plan provides an excellent policy regime which, in my opinion, clearly identifies priority locations for this marquee public service facility, it can’t be relied on by decision-makers for a complete policy direction. Interestingly, the lack of consideration in the City’s planning report by City staff, such as the Downtown Master Plan and the City’s Economic Development Plan, was explained away at a public meeting by staff because the directions contained in those plans have not been included in the City’s official plan, because the City has not updated its official plan since adoption in 2006. (b) shall conform with the provincial plans that are in effect on that date, or shall not conflict with them, as the case may be." The Province of Ontario has developed the Growth Plan for Northern Ontario, 2011, to provide a strategic framework to help guide decision-makers and investment planning decisions throughout Northern Ontario. The City of Greater Sudbury has been identified as an economic and service hub by the Minister. This section of the Growth Plan outlines how community visions are to be mapped out, and identifies the importance of stakeholders in the planning process. Here it must be noted that there was significant public input that went into the preparation of the City of Greater Sudbury’s Official Plan. The 2013 Downtown Master Plan benefitted from a comprehensive and dynamic public engagement process – one that I was pleased to participate in. And “From the Ground Up – gs2025”, the City’s economic development plan, was also subject to a dynamic public engagement process, where citizens were able to participate in meaningful ways that ultimately informed the Plan. In contrast, there was no public process in the lead-up to the City’s selection of the Kingsway as the site for a new arena/events centre. Instead, those like me who had participated in public engagement processes with the City that led to a more fulsome articulation of policies to support the health, well-being and prosperity of the City’s downtown area felt that Council’s decision on June 27, 2017 was not in keeping with direction that the City had articulated for this marquee public service facility. Of further note, the Growth Plan for Northern Ontario is clearly drawing a linkage between land use planning and planning for economic development. In this context, to demonstrate consistency or a lack of conflict with the Growth Plan for Northern Ontario, other community-based planning initiatives, like our Economic Development Plan and the Downtown Master Plan, must be considered as part of any development application review. The Source Water Protection Plan and the Economic Development Plans were both plans that received the benefit of significant public consultation prior to being received by the City. Council’s Corporate Strategic Plan, however, did not benefit from any public consultation exercise and, as such, for the purposes of the Northern Growth Plan, and for the LPAT’s review of matters currently in front of it, “Greater Together” is not a planning document that should be considered by decision-makers. Through the inclusion of consideration of the “Greater Together” plan, and by excluding consideration of the Downtown Master Plan from its planning review process, the City has erred. Consequently, the resulting decision to authorize the by-law cannot be considered in conformity with the Growth Plan for Northern Ontario, and should be considered instead to be in conflict with the Plan. Taken together, the economic and service hub policies of the Northern Growth Plan are largely addressed through the strong Official Plan policy direction of the Greater Sudbury’s plan that identifies the downtown as an important economic and business/government services hub for municipal and regional residents, and contributes to municipal identity in the region and beyond. Further, the City of Greater Sudbury’s Official Plan includes a number of policies related to access for important public facilities. Policies in the City’s plan that seek to enhance the provision of transportation choices are also in keeping with the economic and service hub policies of the Northern Growth Plan. However, the City’s decision to authorize the by-law, which will lead to the outcome of having an important public facility removed from the City’s downtown core and replaced by a new facility in a suburban location within an industrial area conflicts with the economic and service hub policies of the Northern Growth Plan. 4.4, Strategic Core Areas – although not specifically identified at this time as a “strategic core area” in keeping with the Northern Growth Plan, due to the lack of an official plan conformity exercise, the City of Greater Sudbury’s downtown is clearly intended to be a strategic core area as per the Growth Plan. e) major cultural institutions and entertainment facilities. Clearly, the Growth Plan for Northern Ontario contemplates that downtown “strategic core areas” of economic and service hubs should be the focus of public investment. The Plan specifically identifies the redevelopment of major projects (like the Sudbury Community Arena) and investment in cultural and entertainment facilities. The lands subject to the City’s decision are not located in a strategic core area. Further, an industrial area on the fringe of the City would not be in keeping with the definition of a strategic core area. As such, the City’s decision to authorize the by-law conflicts with the Growth Plan, which seeks to locate this kind of arena/events centre public facility in core areas of large municipalities, like Greater Sudbury’s downtown. Although the letter by the applicant’s agent, Karl Tanner, dated December 5/17 indicates that the “development of a ‘recreation and community centre’ in the form of an arena and Event Centre…is complimentary to…current permitted uses,” this assertion is unproven. The type of facility currently permitted on the subject lands as a “recreation centre, commercial” appears to be something of much smaller scale than a public service facility in the form of an arena events centre that is subsidized by the City. An “Arena” is not permitted. There has been no economic analysis undertaken which has led to the conclusion that an arena/events centre of the scale proposed here (5,200 seats for an Ontario Hockey League game) represents a profitable commercial investment. The only analysis undertaken at this point, by PWC, determined that OHL-style arena/event centres almost always require public subsidy for long-term operations, and as such are not profitable on their own. Comparing the existing zoning permission for a “recreation centre, commercial” to the new permission now being sought for a “recreation and community centre” is unhelpful for any land use evaluation of the application, since the likelihood of both types of facilities occurring on the subject lands is extremely low – and given that the City has made it clear that it plans to purchase the subject lands, it’s almost a near certainty that a for-profit “recreation centre, commercial” will never be established on these lands. Nevertheless, the City, in making its decision to authorize the by-law, appears to have relied on the applicant’s agent’s submission in preference to submissions made by others. By relying on the existing land use permissions to guide a decision on this development proposal, even where those existing permissions have not been proven to be at all similar in nature to the permission now given by the City, the City’s decision to authorize the by-law is not in keeping with its Official Plan. The City’s decision pertains to the addition of a new use on lands designated “General Industrial” in the City’s Official Plan. The new use is an institutional use in the form of a “recreation and community centre”, which is a public service facility, as per the Provincial Policy Statement, 2014. The City’s Official Plan includes policies for institutional uses within the Employment Areas section, and specifically in Section 4.4. While the Plan establishes a site-specific land use designation for some institutional uses – mostly for major health and education facilities – it acknowledges that institutional uses will occur within other land use designations, and that “Institutional uses are permitted throughout the municipality in accordance with the needs of area residents and policies set forth below.” Indeed, the Sudbury Community Arena – an institutional use – is located on lands that are designated “Downtown” in the City’s Official Plan, and zoned C-6 – which allows for institutional uses. The City of Greater Sudbury’s Official Plan designates the lands subject to this decision as “General Industrial”. General Industrial policies are also found within Section 4, “Employment Uses”, of the Official Plan, and specifically within Section 4.5.1. Policy 1 of 4.5.1 indicates that, “Permitted uses may include manufacturing, fabricating, processing and assembling of industrial and consumer products, repair, packaging and storage of goods and materials, and related industrial activities.” The use of the words “may include” in Policy 1 seems to imply that this is not a comprehensive list, and that other appropriate uses could be permitted, including institutional uses. It may very well be appropriate for some types of institutional uses to locate on lands designated “General Industrial”. For example, the City’s recycling centre at 1825 Frobisher Street appears to be located on lands that are designated “General Industrial”. However, it would be an error to determine that by virtue of language in the Official Plan that indicates, “Institutional uses are permitted throughout the municipality in accordance with the needs of area residents and policies set forth below,” that it is implied that all areas of the municipality are appropriate for all institutional uses, subject to policies found in Section 4.4 of the Plan, which itself does not provide an exhaustive list of the sorts of policy considerations that should be considered by decision-makers, given that the Official Plan cannot be determined to be consistent with the Provincial Policy Statement, 2014. Clearly, a more significant level of analysis is needed prior to determining whether a proposed new institutional use is appropriate in a specific location. Note, too, that Section 4.4 does not indicate that institutional uses are permitted within every land use designation – it simply says “throughout the municipality”. f. adequate buffering and landscaping is provided. At the Planning Committee meeting of January 11, 2018, planners for both the City and the applicant advised Planning Committee that this application was in conformity with the Official Plan based on the sentence found in Section 4.4 of the Official Plan that indicates “Institutional uses are permitted throughout the municipality in accordance with the needs of area residents and policies set forth below,” and presumably with consideration given to items a) through h) of Policy 2. In its decision to authorize the by-law, the City appears to have adopted a definition that the “throughout the municipality” language in the official plan (subject to section 4.4) permits any and all forms of institutional uses within any land use designation – and in particular, in permits a public service facility in the form of an arena within the General Industrial land use designation. In basing its decision on this interpretation of policy, the City did not adequately consider policy 20.5.2, and as such, the decision to authorize the by-law is not in conformity with the City’s Official Plan. Decision-makers, when making determinations, must consider all of the policies in applicable Official Plans. In this matter, those policies include Section 20.5.2, which specifically applies to rezoning applications. Official Plan policies must be read in conjunction with both the Provincial Policy Statement, 2014 and the Northern Growth Plan, as both of these policy documents have been issued by the Province since the approval of the City of Greater Sudbury’s Official Plan in 2006. 1. Permitted uses may include manufacturing, fabricating, processing and assembling of industrial and consumer products, repair, packaging and storage of goods and materials, and related industrial activities. 2. Complementary uses, such as administrative offices, which do not detract from, and which are compatible with, the operation of industrial uses are also permitted. 3. General Industrial uses must have minimal environmental impacts. Any use which may impact surrounding areas and cause nuisance will be appropriately buffered and screened. 4. Where development occurs in areas that are not fully serviced, only dry industries that generate less than 4,500 litres of wastewater a day may be permitted. A “recreation and community centre” use in the form of an Arena on this site does not conform to the Official Plan. It is a public service facility as defined by the PPS, 2014, and as such should be strategically located in an area of the City that promotes cost-effectiveness and better facilitates service integration. A public service facility of this nature should also be easily accessed by all citizens, including via public transit and active transportation. An industrial area is not an appropriate location for this type of public service facility. The City of Greater Sudbury’s Official Plan directs this sort of facility to an alternate land use designation via the following policies. This part of the Official Plan’s context identifies the Downtown as having a continuing need for programs that enhance the location for a number of uses, and in particular cultural entertainment and residential uses. The provision of an arena/events centre in the Downtown would enhance and support these uses. This policy identifies the Downtown as the heart of the amalgamated City. It indicates that the Downtown serves a catchment area that extends beyond the City. A distinct built form that more easily promotes the use of active transportation exists in the Downtown like nowhere else in the City. To develop and sustain the Downtown’s role as a vibrant hub of a dynamic City, the Plan recognizes the importance of the Downtown for the provision of various services to the community and beyond, including retail and business services – and noteworthy for our discussion pertaining to an Arena, arts and culture services as well. While the “Kingsway Entertainment District” may be a concept plan that has yet to be identified in any of the City’s planning documents, our Official Plan does recognize the Downtown as a creative district for arts, culture and entertainment. No other part of the City is recognized as such. An arena/events centre in the Downtown contributes to our existing Downtown Entertainment District. “Amenities such as the Farmer's Market, Sudbury Theatre Centre, Greater Sudbury Public Library, Sudbury Arena and the Centre for Life contribute to the appeal of the Downtown. In order to make it more attractive as a place of residence, additional amenities necessary to enhance the livability of the Downtown will be identified. This Plan policy specifically identifies a downtown arena as part of a strategy to promote residential development in the downtown by enhancing the livability of the area. The promotion of residential development in our Downtown has been identified by the Official Plan as a desirable objective, based on the well-understood principle that vibrant and dynamic downtowns are ones where people live, work, shop and play. The removal of the Arena from the downtown would be contrary to the downtown residential promotion strategy outlined here. The Plan acknowledges the important role that the Downtown plays in the public perception of the City, and how that perception is used to achieve successful outcomes for City initiatives, including residential and economic development initiatives. The downtown Arena helps form a part of that perception. Building on the previous policy regarding the importance of public perception, this Plan policy clearly identifies that those aspects of the Downtown that contribute to its image, character and quality of life will be preserved. “Landmarks” are specifically signaled out. Without question, the existing Sudbury Community Arena is one of those landmark elements that contribute to the success of the downtown (and by extension, to that of our City) and enhance our quality of life. While it may not be possible to preserve this landmark, it would be irresponsible – and contrary to this Official Plan policy – not to preserve its continued use as a public service facility in the City’s downtown core. The Downtown is a unique area of the City, rife with opportunities to encounter public art and high quality urban design. A new public facility – especially one that will cost taxpayers up to $100 million based on estimates provided by PWC – should incorporate a high quality design that compliments surrounding uses. This can’t be achieved in an industrial area – and indeed, our Plan does not contemplate the need for high quality urban design for public facilities in an industrial area. But high quality urban design could be achieved in the Downtown. Given the strong policy direction in the Plan and in the PPS, there should be a greater emphasis placed on achieving the outcomes as stated in this policy. .
“Enhancing the public transportation system and encouraging increased transit use are important objectives, particularly within the context of improving air quality and contributing to Kyoto targets. Shifting the arena out of the downtown core, which is the best-serviced area of the City with regards to transit and active transportation, and moving this important public facility to an industrial area on the fringe of the urban area that is accessible primarily by personal motor vehicles will not help enhance our transit system or our active transportation systems. h. support programs that aim to reduce the environmental impacts of certain modes of transportation. The decision to permit an arena in an industrial area on the urban fringe will not assist the City with achieving transit-oriented and active transportation objectives of the Official Plan’s Transportation policies. The decision does not support all modes of travel; requires the inefficient and costly expansion of transit services; does not enhance mobility or access; and, does not consider the needs of physically-challenged people (particularly those who rely on motor-assist devices, given the industrial location and lack of walking options for access). Further, the link between “Kyoto targets” and “environmental impacts” indicates a concern about how the City’s transportation systems – particularly those that rely on fossil-fueled motorized vehicles – are impacting the global climate. As the City moves forward into the 21st Century, it is incumbent on decision-makers to consider the climate change impacts of their decisions. While the City currently lacks a comprehensive plan to reduce emissions, what is clear is that decision makers need to start thinking about how their decisions can help – or hinder – greenhouse gas emissions reduction. These policies in the City’s Official plan urge decision-makers to do just that, when considering development options and alternatives. This decosopm in particular, which will relocate an important, much-visited public facility out of the City’s walkable, bikeable downtown core and move it to a location that is largely car-dependent will certainly work against reducing greenhouse gas emissions. The decision of the City does not conform with this section of the Official Plan. “Although the automobile will remain the primary mode of personal transportation for the foreseeable future, public transportation will play an increasingly important role for the municipality. Increased public transit use will help the City improve air quality and achieve Kyoto targets, as well as alleviate traffic congestion on Arterial Roads. The City’s Transportation policy objectives are further articulated in this section, and a direct connection is made between the delivery of expanded transit services and a reduction in greenhouse gas emissions (“Kyoto targets”). Section 11.9 of the Official Plans speaks a little more to the importance of emissions reductions. Further, this policy indicates that the provision of transit is aligned with other plan objectives, including residential intensification. It should be noted again that a downtown arena is specifically identified in Section 4.2.1.1 of the Official Plan as being a part of a strategy to promote residential development in the City’s core. Moving the arena to the Kingsway site will not assist with that strategy, and will therefore not help enhance the provision of cost-effective public transit services that increase ridership. But maintaining an arena in the downtown core – an area already well-serviced by transit – can certainly help achieve this outcome, especially when considered as a part of a holistic approach to attract and retain knowledge-based jobs to the community through the provision of public amenities and a built environment that meets the needs and wants of knowledge-economy workers. An efficient and effective public transit system is a part of that strategy that promotes healthy living and economic prosperity. “The provision of public transit must be supported by compatible land uses policies and sound urban design principles in order to promote transit use as a viable option for residents. Transit-supportive policies form linkages with other City initiatives, including the need for increased residential intensification, ongoing efforts at downtown revitalization, and objectives established by the EarthCare Sudbury Local Action Plan. Here again, the Plan links transit policy to residential intensification and downtown revitalization. The decision which will see the existing arena relocate to an industrial area on the urban fringe of the City is contrary to downtown revitalization and promoting residential intensification. It is also contrary to policies of the Official Plan, like this one, which seek to enhance our public transit system. This decision will not assist with enhancing the City’s pedestrian and bike network, as it will shift a well-used public facility out of the downtown core (an area well-serviced by active transportation facilities) and into a car-dependent location on the City’s urban fringe. There is inadequate pedestrian access for this development proposal. Industrial areas throughout the City have only limited pedestrian access – and the same standards can be expected on this site, given the industrial nature. The City’s decision to amend the zoning by-law does not propose to create any new standards. Industrial area access standards for pedestrian are inappropriate for a public service facility that is expected to service several hundred thousand visitors annually, according to the urbanMetrics report. This decision is not in keeping with this policy. This decision will lead to the unnecessary expansion of public sewer and water infrastructure. If the arena were to stay in the downtown, the costly expansion of sewer and water services would be avoided. “5. This Plan supports district energy plants as an efficient method of supplying heating, cooling and electricity to buildings. The environmental benefits of co-generation plants are recognized for their contribution to cleaner energy sources and reduced greenhouse gas emissions. This matter, which will only be realized through the provision of public funds, does not seek to use district or geothermal energy – an egregious oversight for what is ultimately a major investment of taxpayer money. Further, by taking the arena out of the downtown, the downtown’s district energy system will be diminished. Alternatively, a new downtown arena could enhance the cost-effectiveness of the existing downtown district energy system. This policy, too, calls for the preservation of Downtown elements that contribute to character and quality of life. It calls for the preservation of viewscapes to landmark features. And it calls for the development of new landmark features that can be integrated into the Downtown landscape. Although not specifically identified, clearly a new arena would be one of those landmark features. Note that there are no comparable Official Plan policies that call for new landmark features in a General Industrial area. This policy, too, acknowledges the central role that the Downtown plays as a hub for retail, arts and culture, business. It also acknowledges the importance of facilitating residential development. A downtown arena is a key public facility identified in Section 4.2.1.1 of the Plan as part of a strategy to promoter residential development. This area of the Official Plan identifies the importance of Healthy Community objectives to achieving economic development outcomes, tying healthy and sustainable living with building a prosperous, knowledge-based economy. A downtown arena facility, as identified in various policies found in Section 4.2 of the Official Plan, will contribute to the circumstances needed for both making our City a healthier place for residents, and a more prosperous location for business. As such, the Plan indicates that the approach outlined here for economic development should be one pursued by Council. When looking for locations for landmark public facilities that are intended to serve the needs of all residents, consideration should be given to equity and ease of access. As noted elsewhere in the Plan, Greater Sudbury’s downtown is a unique district, not only because it acts as a hub for retail, business, government services, arts, culture and entertainment uses, but also because of the built environment and the ease of access to and within the downtown for those citizens in our community that do not own or have access to motorized vehicles. The downtown is a transit hub. It is located in an area that is within walking distance for tens of thousands of community residents. Active transportation routes, both existing and planned, lead to the downtown and connect it to other parts of the City. Although the Kingsway projects are intended to be accessed by transit and active transportation routes, due to the suburban industrial location of the lands, only extremely limited access by non-motorized vehicles is likely to occur. This is not equitable. Removing an important public facility from the City’s downtown in favour of a location in an industrial area on the urban fringe will lead to a loss of equity and access for people who do not and cannot rely on personal motor vehicles for personal transportation. As noted above, the City’s Economic Development Plan, “From the Ground Up – gs2015” acknowledges the downtown as the location for a new arena/events centre. The plan is silent with regards to locating this important public facility in an industrial area. This policy suggests that Council should have regard to our economic development strategy when making decisions related to development applications. As such, this specific development decision is not in keeping with Section 16.2.3 1) of the Official Plan. This policy again reminds Council that when considering development applications, strategies that promote residential development, promote quality of place and promote the image of the City are important considerations. The Downtown is again specifically highlighted as being linked to the public’s perception of the City. The downtown arena is a landmark public service facility that enhances the downtown’s physical environment and enhances the public’s perception of a successful downtown. This policy links the provision of arts, culture and entertainment facilities to attracting and retaining knowledge-economy individuals and entrepreneurs. The downtown is identified in the Official Plan as the hub for arts and culture, and acts as Greater Sudbury’s entertainment district. While not specifically a business, the Sudbury Community Arena is the kind of public facility that is identified in the Official Plan as acting as a catalyst for community prosperity. Local businesses in the downtown core have clustered near the existing arena so as to generate economic activity as a result of the numerous patrons that are attracted to the arena - and the downtown – annually. It is a community wealth-creator. If the City were to locate the arena in an industrial area on the fringe of the built-up part of the City, the City would lose existing synergies and miss out on additional opportunities to create wealth and prosperity. Although the so-called “Kingsway Entertainment District” concept envisions the creation of a cluster of entertainment uses in the vicinity of this application, it should be noted again that this concept has no legal or policy standing, and the review of this specific decision in the context of an entertainment cluster would be inappropriate. The City has never invested in itself in the way that it is about to do. The PWC reports, which recommended the City first pursue a new arena/event centre, and then recommended a downtown location as a priority, estimate that a public investment of up to $100 in capital funding may be needed to construct this new amenity. Further operating losses (another form of public investment) of up to $800,000 annually can be expected. In short, a new arena/events centre is a public facility that is going to require the most massive investment that the City has ever made in itself. This policy simply reminds Council that decisions related to public investments should be guided by the Official Plan. That appears to be an important reminder, given that the June 27, 2017 decision of Council to select the Kingsway industrial area as the site of the new arena/events centre did not consider the strong direction of the Official Plan, Downtown Master Plan, and Economic Development Plan – all of which clearly point to a downtown public arena. Council and staff should pay particular attention to Section 16.2.12, Community Vision and Leadership. Greater Sudbury, like many mid-sized cities, is chasing after knowledge-economy based jobs. Our Official Plan and Economic Development Plan both refer to the importance of the knowledge economy for our prosperity. Greater Sudbury is a City of Science, a City of Education and a City of Regional Health Care Services. We also have one of the strongest mining and supply sectors of any City in the world. Attracting and retaining knowledge-based workers to fill the jobs that we want to create here mean that the City has to pay particular attention to the needs and wants of those who are going to fill those jobs. The City’s Official Plan and Economic Development Plan have been designed with both in mind. And a downtown arena is one of the elements identified as being useful for fostering the type of urban environment that knowledge-based workers are seeking. In contrast, the Official Plan and Economic Development Plans, which have a lot to say about City-building for the 21st Century and the pursuit of knowledge-based economic development initiatives – these plans are silent with regards to how a new arena/events centre in an industrial area on our urban fringe would assist with achieving these outcomes. The Plans are silent because such an approach would clearly be contrary to achieving those outcomes. Further diversification of the economy will be realized through pursuit of knowledge economy jobs. Retrofitting a City to better meet the needs of citizens in the 21st Century will be an expensive endeavor. The City of Greater Sudbury is already at a disadvantage in many respects, due to the sprawl which has accrued around our numerous urban centres since the 1950s. An automobile-based built form does not provide the kind of flexibility that knowledge-based workers – and indeed healthy citizens of all ages – need to prosper in the 21st Century. With this in mind, our efforts now should be on minimizing additional sprawl-based built-forms that will require expensive and costly retrofitting in the future. Locating an important, wealth-generating landmark public facility in an industrial area on the urban fringe will not assist with facilitating a smooth transition to the knowledge economy. However, continuing to locate the arena in the City’s livable downtown core will. That approach is also in keeping with the City’s Official Plan and Economic Development Plan. There is already in existence a full range of municipal infrastructure available to service a new arena in the downtown. Municipal services will need to be extended at cost to the municipality in order to realize the creation of an arena in a currently unserviced industrial area on the City’s urban fringe. To be cost-effective, the City should be looking at opportunities to use existing infrastructure first, before considering extending infrastructure. The Official Plan includes numerous policies regarding how to enhance the quality of life of community residents. Many of these policies speak to how important, wealth-generating landmark public facilities like an arena should be centrally located, accessible by transit and active transportation, consider the equity needs of residents, and act in synergy with surrounding local businesses to help create prosperity. There are no policies in the Official Plan which identify an arena in an industrial area on the urban fringe as enhancing the quality of life of the City and its residents. The City’s downtown is the primary driver of public perception related to the City’s overall image, both here in the City and in a wider regional context. The Official Plan indicates elsewhere that the downtown provides services to residents and to a larger regional area. Enhancing our downtown through the development of quality of life facilities and amenities – and specifically through the creation of a new arena/events centre – is in keeping with the continued development and identification of Greater Sudbury as the capital of Northeastern Ontario. The development of an arena/events centre in an industrial area on the urban fringe is not recommended by the City’s Official Plan or Economic Development Plan as a means of accomplishing this outcome. “Improving quality of place is directly tied to the success of our economic engines. Council must recognize the importance of recreation, arts and culture, and cultural diversity for attracting and retaining the creative talent that will contribute to the economic prosperity of the City and its entrepreneurial spirit. Given its impact on the City's image and appeal, the physical appearance of the urban landscape must be improved through a renewed focus on good urban design. Recognizing that quality of life is a key component of its economic development strategy, Council will strive to protect the community's natural environment, to improve its built form, and to enhance its social environment. The development of venues to showcase local and visiting talent, as well as our vibrant ethnic and cultural activities and organizations, is essential to improving quality of place. Special emphasis on creating a youth-friendly city is required. This policy again links quality of place (as expressed through a vibrant arts, culture, recreation and entertainment centre) with community prosperity. Improving the City’s built-form and enhancing the social environment by providing a landmark public service facility that equitably services community residents will enhance the City’s social environment. A downtown arena is in keeping with this initiative. This decision, which proposes a public service in a car-centred industrial area on the urban fringe of the City, will not enhance the social environment, or the image and appeal of our City. As one of the primary attractions for people visiting the downtown core, the Sudbury Community Arena helps support many of the local venues that visiting and local talent rely on. These venues contribute to quality of life experiences for residents. The entire downtown is able to act in an integrated way, where arts, culture, recreation and entertainment are showcased. Promoting the downtown as a hub for these activities, along with a healthy and vibrant retail/business/government services sectors and promoting residential uses, has been a priority of our Official Plan. Further, a “youth-friendly” city is one where personal vehicles are not required for access, and transit and active transportation options exist in abundance. By shifting the arena out of the downtown and into an industrial area on the urban fringe, the City will have diminished the very arts/culture/entertainment hub that it has long sought to enhance. It would be contrary to the City’s Official Plan. With respect to the Arena, the City made its decision to authorize the by-law in absence of any discussion or analysis regarding b), alternatives – there should have been an assessment as to why existing programs and direction as per the Official Plan, Downtown Master Plan and 'From the Ground Up - gs2025' were abandoned in preference to the new direction to build in an industrial area. With regards to financial sustainability, while the wording in the Official Plan doesn't make it explicit that financial sustainability applies to the municipality rather than simply a project, the term "sustainability" itself incorporates that idea. To determine “sustainability”, a higher level of analysis is needed - it's something much bigger than simply asking the question whether the facility can continue to support itself. "Sustainability" has to include a look at equity for citizens and economic development over the long term – development that does not negatively impact the needs of future generations. When you include these ideas in the concept of “sustainability”, you end up in a different place that requires a much broader analysis than simply whether a facility might break-even until it’s no longer needed. The urbanMetrics report looked at how a favorable decision by the City for the arena application would impact the City’s long-term financial sustainability, and determined that the long-term financial health of the City would likely be jeopardized by the decision. The report recommended the City undertake a more comprehensive analysis of anticipated financial impacts on the City, and especially on the health and well-being of the downtown, prior to making a decision. By proceeding to make a decision in absence of a more complete analysis of anticipated financial impacts, and due to the uncontradicted findings of the urbanMetrics report being the only financial impact analysis available to the City at the time it made a decision, the City’s decision is not in conformity with this section of the Official Plan. This section of the Official Plan seeks to protect and enhance water quality and quantity, and identifies drinking water sources as a priority. The lands subject to this decision are located within the Ramsey Lake watershed. The Nickel District Conservation Authority’s Source Water Protection Plan identifies a threat to water quality for the Ramsey Lake drinking water source from the application of road salt. The decision will allow large new surface parking facilities to accommodate the needs of more than 5,000 expected patrons. These new parking facilities will likely be subject to the application of road salt. The Official Plan identifies that sensitive surface water features will be protected from development through restrictions if necessary. The Plan also sets out a watershed-based approach to planning. Presently, the City is undertaking a subwatershed study for Ramsey Lake. The findings of this study could help guide this development proposal, however this study has not yet been completed. The applicant did not provided any technical studies or propose any official plan policies which address how salt loading in Ramsey Lake will be mitigated. As such, the decision of the City ought not to have been made until the subwatershed study is completed and appropriate technical studies that address water quality maintenance and enhancement have been produced, along with proposed policy for the City’s official plan with regards to how salt loading will be mitigated. -Does not conform to the Official Plan for the City of Greater Sudbury.